Tottenham Hotspur Linked With Liverpool Forward: Should Pochettino Go For It? Tottenham Hotspur are having a mixed start to their season in the current campaign, having lost one and drawn one of their first three matches, with their only victory coming in their first match against Newcastle United. They are currently stranded on the ninth position and are looking to add more points to their tally as the season progresses. The man in charge of the Spurs, Mauricio Pochettino, is looking forward to adding to his already strong strike force, which consists of in-form players like Harry Kane, Dele Alli, and Christian Eriksen, and look to dominate the proceedings in their forthcoming matches in the new term. With the transfer window coming to a close in less than 24 hours, Spurs are looking to get another player to increase their firepower. Among a number of players linked with the North London club, the name right on the top of the list for the Spurs to consider for is that of the Belgian striker Divock Origi. The player is currently a part of the Liverpool lineup and might be on the move to join another club in the Premier League. Pochettino has been dependent mostly on younger players during his regime at Tottenham Hotspur and has been encouraging their development under his benevolent tutelage. The 24-year-old can be another of his young recruits in the team and might turn out to be a shrewd addition to the squad by the Argentine tactician. It has not been a very good last few months for the Belgian striker in the Premier League with his current club Liverpool, as injury woes ate up a chunk of his career with the Reds in the last season. The player has gone out of favour under the present Reds manager Jurgen Klopp, who might not be willing to keep him with the team in the new season. With the current stock of attackers being in their form of their life for the Merseyside club, it seems that there is not much hope for the young Belgian striker to make a comeback into the team anytime soon. 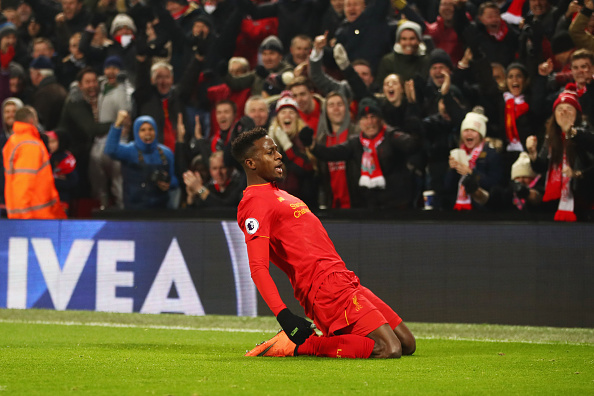 With the Spurs in the calling, it seems that the wait to find a new team might be over for Origi, as he can be a part of the North London club. Spurs have always been known for their attacking intent in the Premier LEague and have developed as a strike force by leaps and bounds in the last few seasons. The addition of a player like Origi will definitely let them add to that firepower. Hull City Close To A Move For This Fleet-Footed Premier League Attacker: Ideal Man For Slutsky? Fulham Make A Move For This £18m-Rated Premier League Forward: Just What The Cottagers Need? Monaco Eyeing A Move For This Liverpool Striker: A Good Deal For Both Parties? Klopp Wanted This Forward From Dortmund Days: PR Stunt Or Something Special For Liverpool In Store? 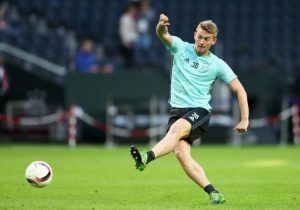 Liverpool To Keep Hold Of Belgian Striker For The Remainder Of This Campaign: Right Call By Klopp? European Club Set To Table Bid For This Liverpool Forward: Should The Reds Sell Him?